CC International provides for all food, lodging, volunteer project coordination, a full time bilingual guide, in country transportation, travel emergency medical insurance, support of project partners, and a recreation activity. 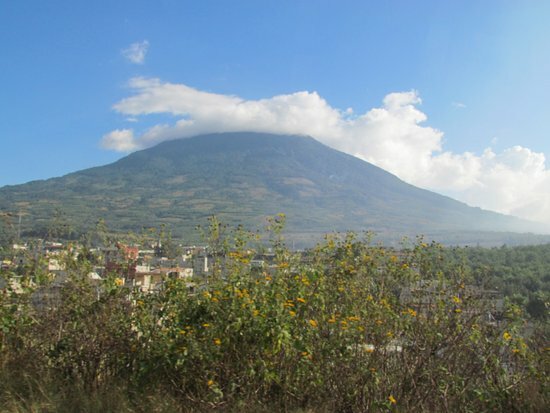 Our Direct Trade Impact Exploration Guatemala is located in San Miguel Escobar, near the historic city of Antigua. Volunteers work with direct trade farmers and artisans to explore the impact of direct trade policies and complete projects that benefit the communities. Spend a day with local coffee farmers, and learn all the steps of coffee processing from the seed to the cup. Hike the base of Vulcan Agua to the fields where you'll pick coffee, then pulp it with bicycle power, start the fermentation, wash and dry it, dry mill, sieve, and sort it, and finally roast it on a traditional comal and grind it by hand on a grind stone. Oh-and drink it. Work alongside a subsistence farmer in the tropics in doings daily tasks of farming a small plot by hand. Not only is it fulfilling work, but you'll understand the world a little better by the end. We'll while the day away with the ladies of an indigenous weaving cooperative. They will teach you how to weave artistic weaving as well as petate, a read mat. Learn their folkloric dances, the history of their town, and how they are working to improve it. This tour takes place in real time, at the pace of our indigenous hosts. 3 mile hike over the base of Vulcan Agua, where you'll see those nisperos, anonas, and other trees up close, and maybe even try a couple. He'll be happy to take you through the colonial palace if you'd like. Lunch is in the fields, a special treat of local fare. While you eat, Filiberto will share his stories with youâ€”of particular interest are his encounters with the guerillas during the civil war. In town once again, you'll go to one of our greenhouses where we'll put you to work preparing seedlings for our future tree plantings.